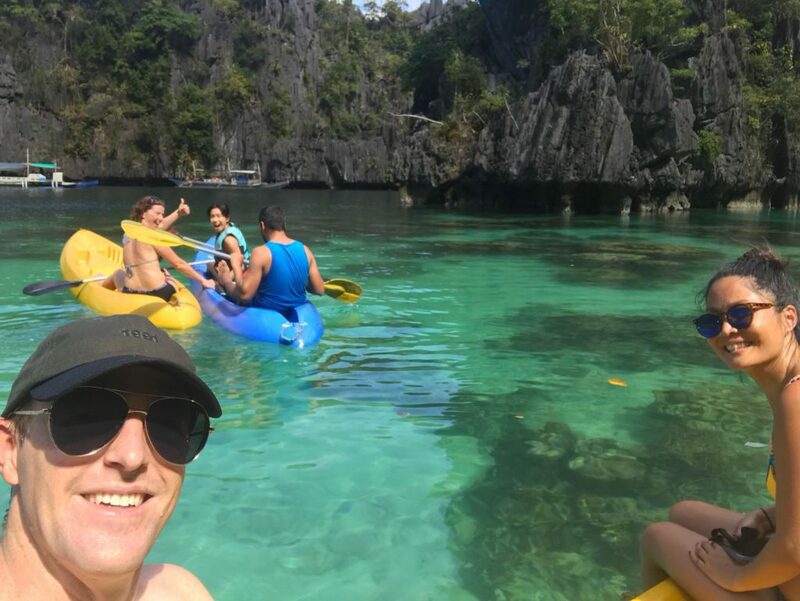 When going to the great island of Palawan, Philippines you immediatly get excited about the white beaches and great blue sea!! And that is so true! 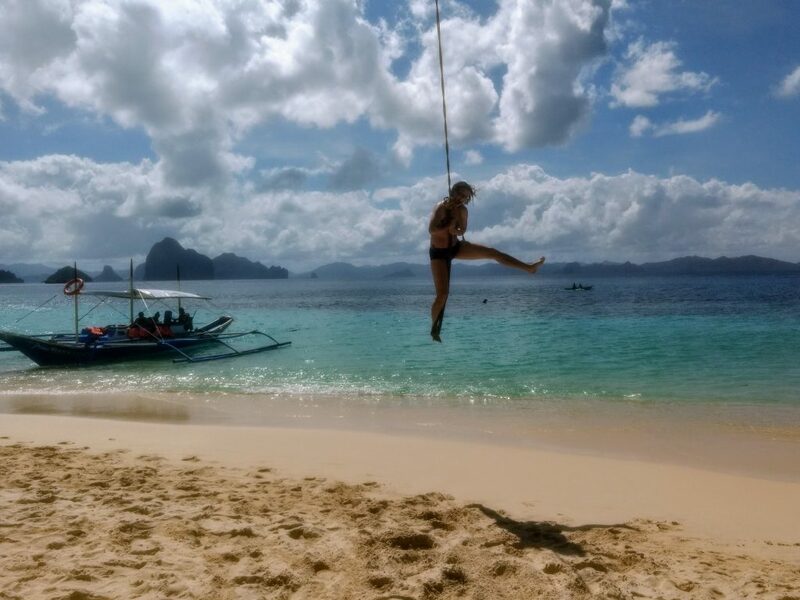 I went to El Nido and did that famous tour hopping around the many islands in front of El Nido. It was just the best relaxing day!! 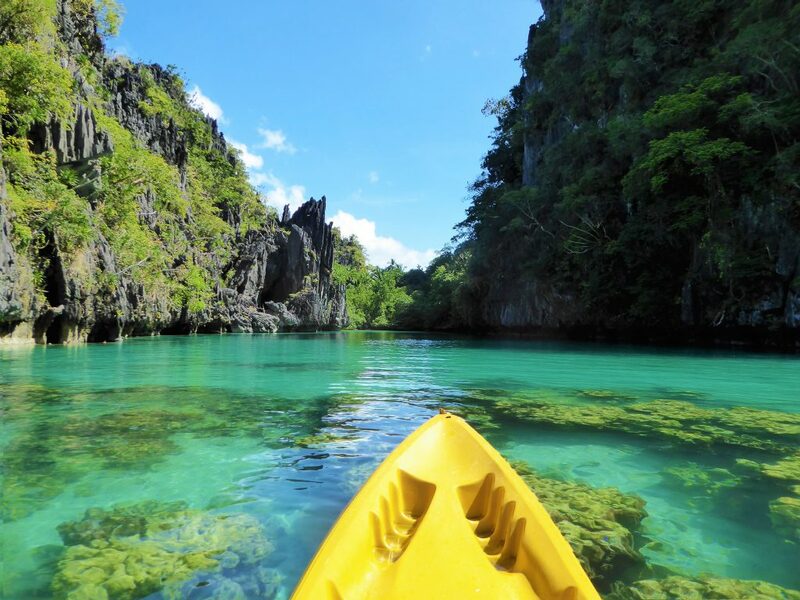 Palawan is a province located in the region of Mimaropa and it is the biggest province of The Philippines. 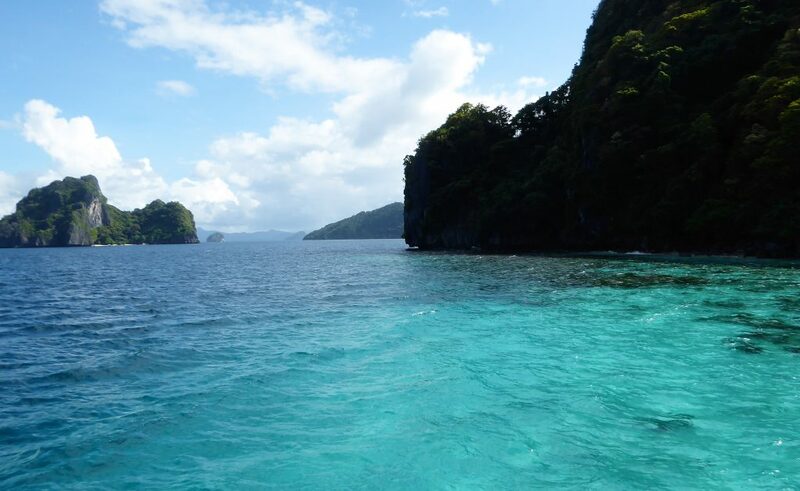 Palawan has roughly 1780 islands and islets around the big island so it is totally worth visiting only because of that! It is said to have almost 2000K of coastline.. beautiful white beaches looking out over the bleu sea!! I had to go and find that out! 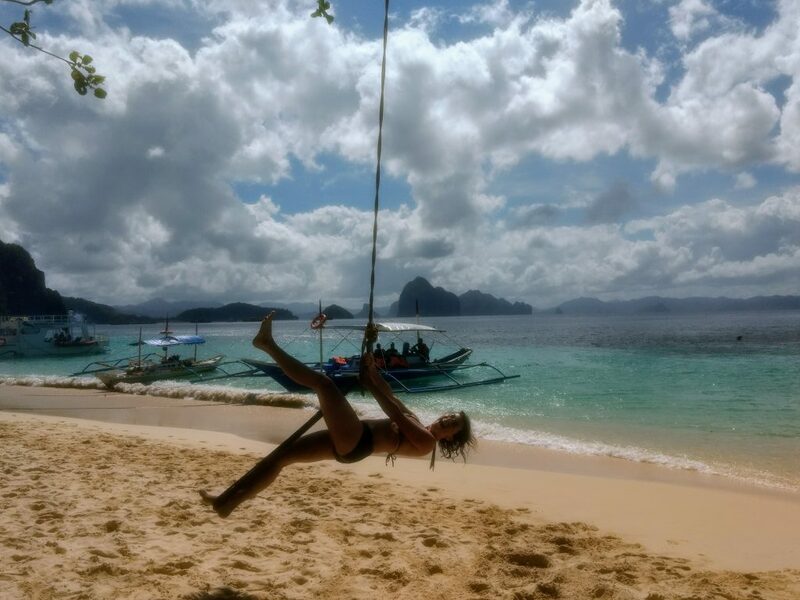 If you want to book a tour Island Hopping in El Nido there are 4 options. A, B, C or D and they are all in the same area but all visit different spot and islands. Check this site for all the details of the tours. I just loved my day on the sea. We first went to 7 commando beach where we had lots of fun!! I loved swimming there after drinking some fresh and healthy coconut juice! And then we went swinging that rope!! 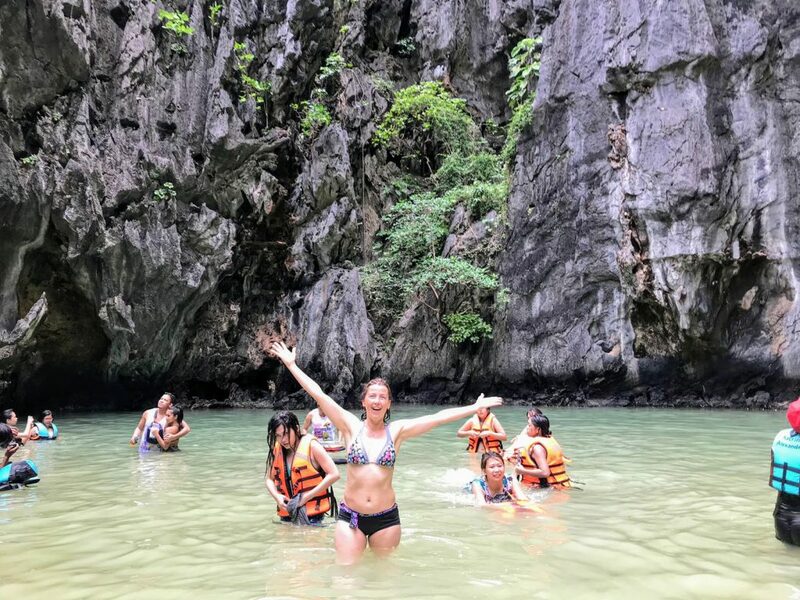 In this Top 8 Trips to Make in 2018 the beaches of Palawan are included!! Isn’t that great? And such a good warm up for a great day! We went to the Small Lagoon and the Big Lagoon. On both occasions I rented a kayak to go into the lagoon. It is worth it, both times. Ofcourse you have to pay for it, I believe it was 300 pesos both times but then you can go roam around the lagoon and see the nice spots! At Shimizu Island we got to snorkel around and swim some while the crew was working hard to get our lunch ready! I loved the food and especially how they served it was great! 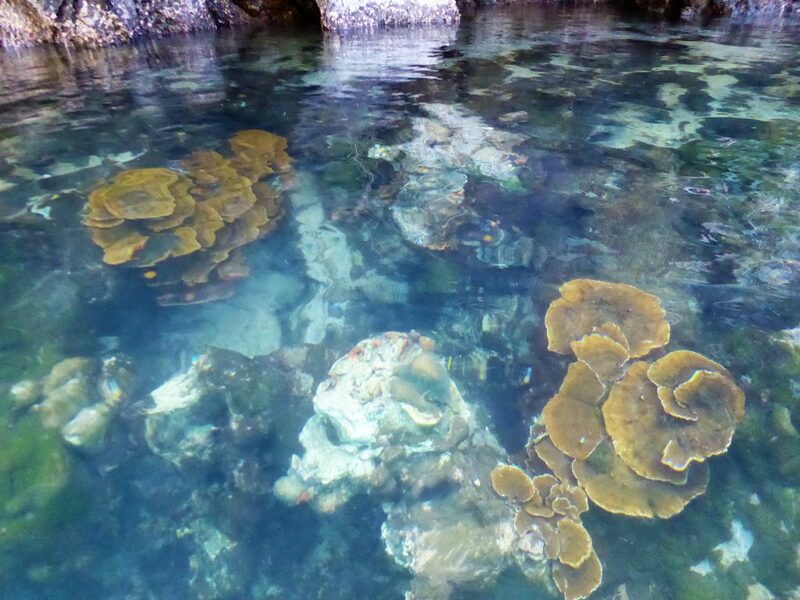 The waters are crystal clear and I loved kayakking around it, looking for fish and coral!! I had great company on that day and also because of that I loved it even more! Yes…there was a queue. It is a busy area with lots of tourist but I can imagine why. The area is beautiful and I do love to wander around places where mosts tourist won’t go I needed to see this too! There is a reason why it is that busy…Because it is that beautiful!! 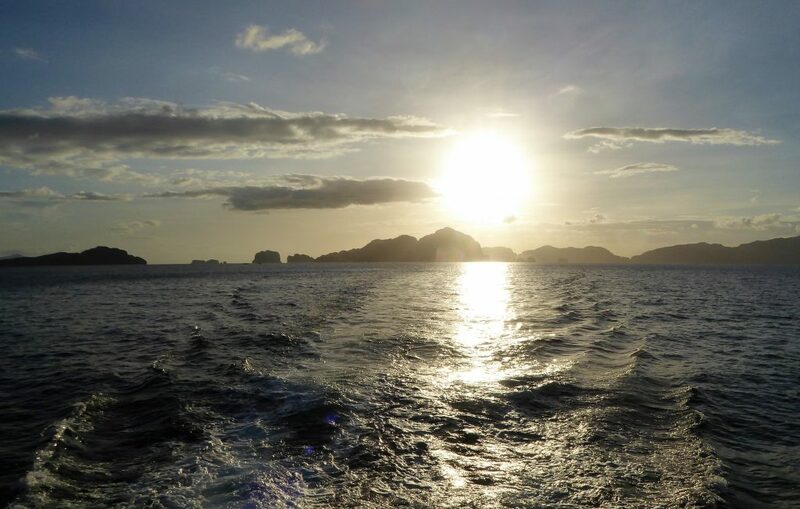 I absolutely loved my day in the El Nido bay. I really loved how they had spoiled us with the most beautiful spots to visit and having a great lunch on the boat! In the morning around 9 o’clock we were picked up at the hotel and in the afternoon around 5 or 6 we got back in the bay. 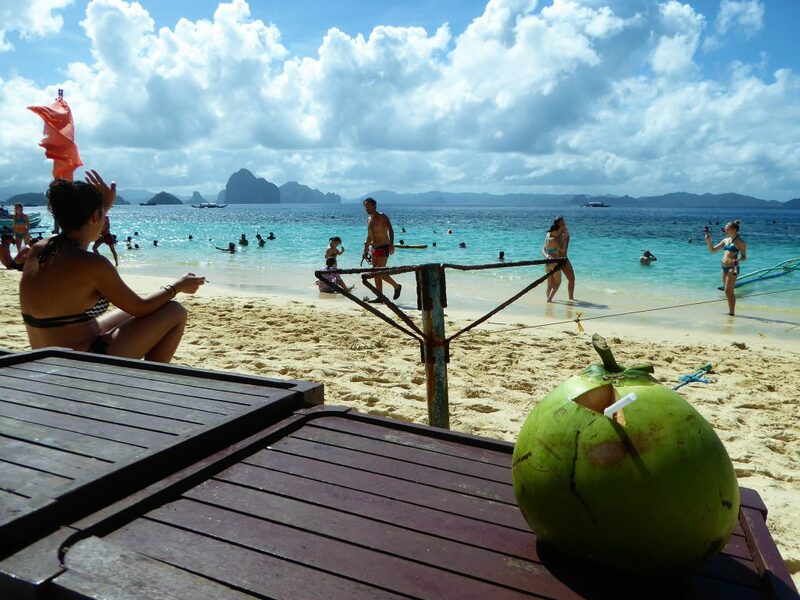 So your whole day is filled in the beautiful bay of El Nido. I paid 1200 PHP and you have to pay a fee for the national park that El Nido bay is, for reservation purposes. That fee is 100 PHP. So in totall I paid 1300 PHP which is: 20 Euro / 25 Dollar. 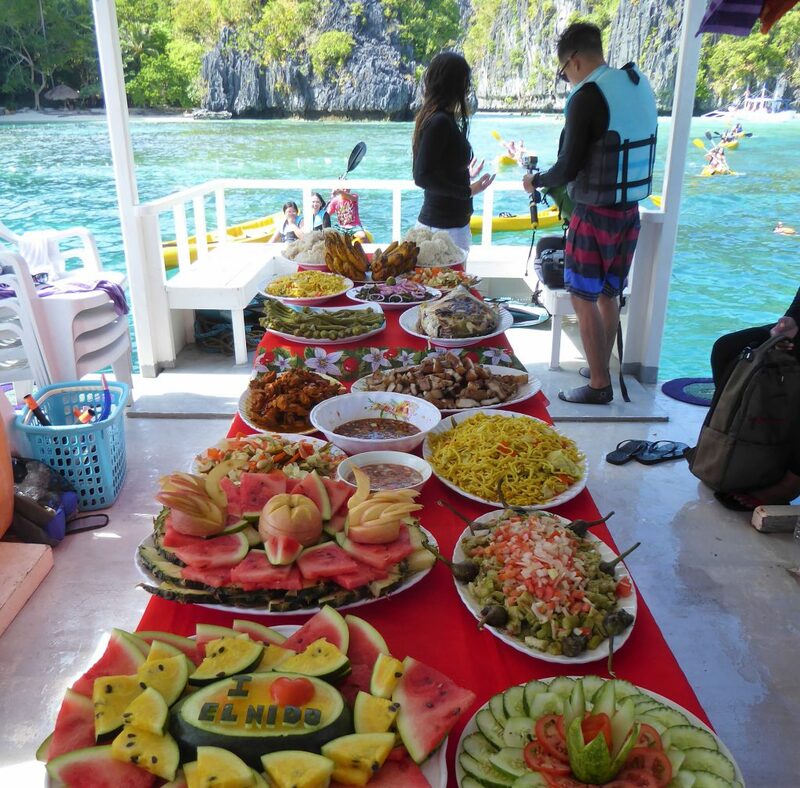 Not bad for a day cruising El Nido and a great lunch. Extras you need to pay are the kayaks on the spots if you want to kayak into the big lagoon and other places. I rented twice and they were 300 PHP each, so they’ll make some extra money on that 🙂 You know how that works ofcourse!! I did like to kayak around there though! So for me an extra 600PHP for the day: 9.50 Euro / 11.50 Dollar. And how do you like this boat? Do you see what it is? It is the garbage of the different smaller islands in the bay, they are bringing it to vast land to collect it properly. I was really happy to see this! We, tourists, are paying the fee for the reservation of this area and this is part of it!! 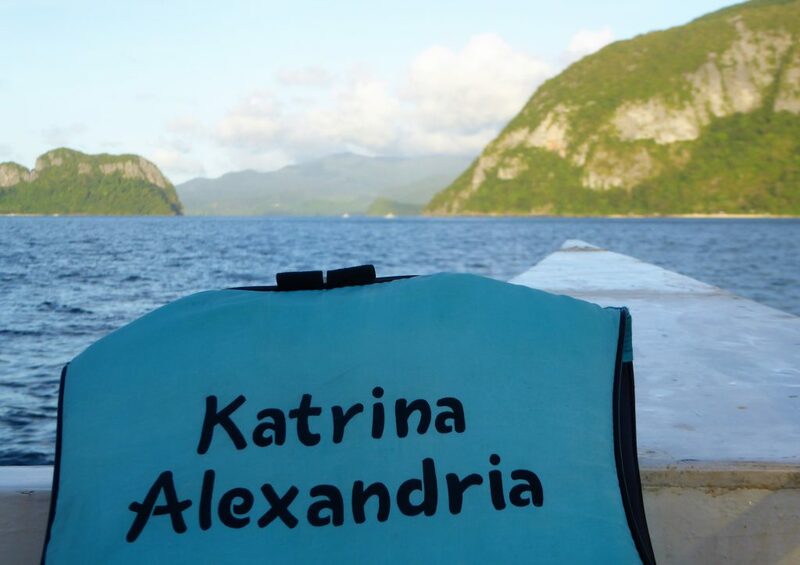 Keep El Nido Clean! Would you like to see some other adventures from the Philippines? 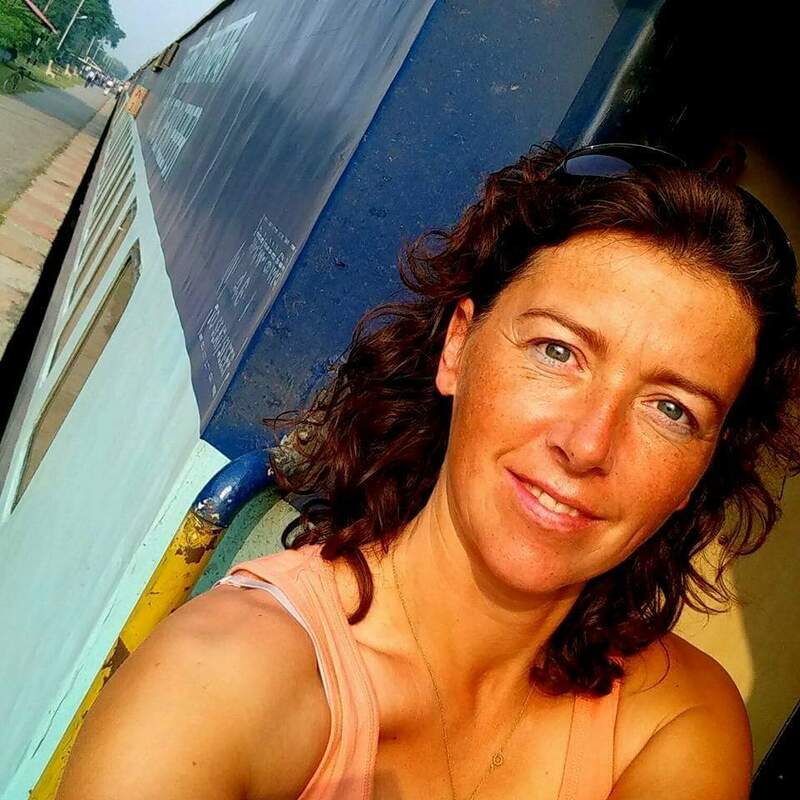 Or can I inspire you to go walk a Camino? I read that too. I think that is mostly dangerous in rainy season as there are more mosquitos there. If you do go make sure to use deet on a daily bases and not only during sunset. 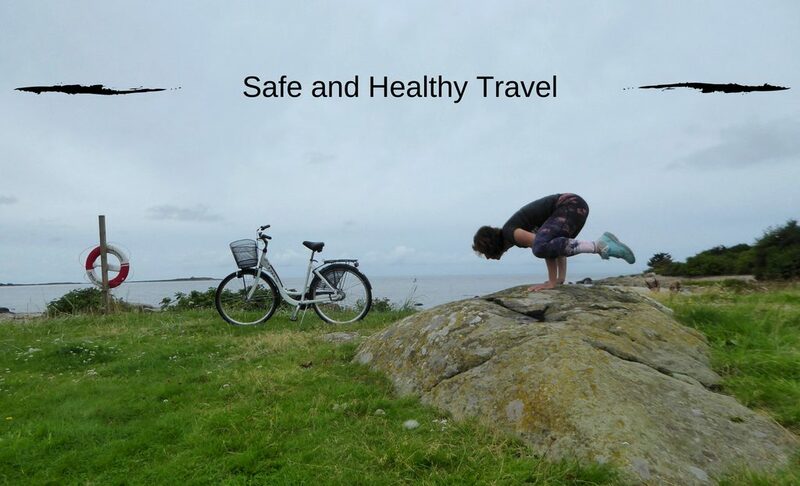 It is a beautiful destination but you don’t want to risk getting sick. I would highly recommend visiting Small Lagoon and Big Lagoon. I spent 10 days with my wife in Philippines and in this place I took the best shots I have ever taken from my drone. Great article, and lovely pics! Wow I’m glad you liked Philippines. I am from PH and it is such a pity that I’ve never step foot to Palawan. It is such a wonderful island. Love your photos also! Thank you Dawn!! I really loved the Phillipines and this was my second visit! There is so much to explore! 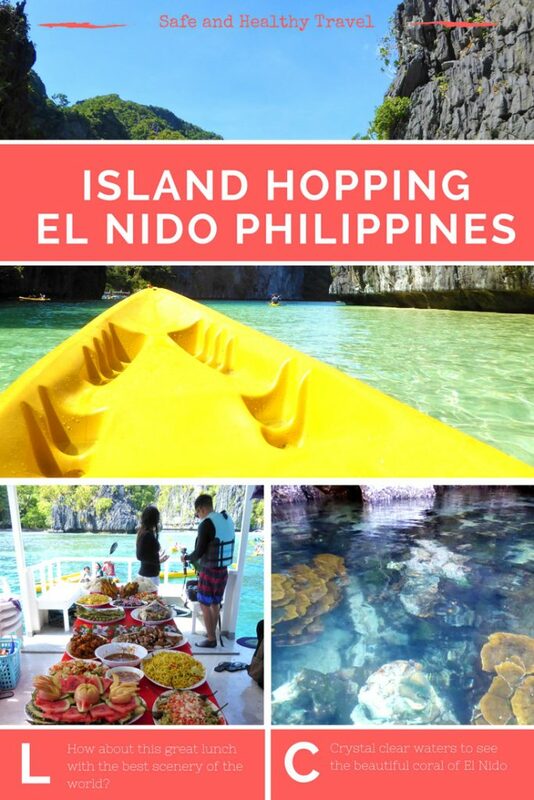 El Nido is one of my travel dreams. I will hopefully make it there one day. Your beautiful article makes me wanna go right now. Love it. Thank you very much. It is defenitely paradise on earth! !